Intercultural learning has moved from the shadows of international education into the spotlight, and it is now garnering attention in multicultural education as well. Shorter, more focused study abroad programs are increasingly dependent on the “intervention” of pre-departure, on-site, and re-entry facilitation to achieve their educational goals. And more cultural diversity in both domestic and international contexts is making intercultural learning an everyday necessity. This three-day course offers a comprehensive overview of intercultural learning theory and its practical application. Beginning with a brief history of intercultural learning in international and domestic contexts, the course shows how changes in knowledge paradigms have impacted and in some cases impeded the learning potential of cross-cultural contact. It then reviews the state of the art developmental model of intercultural sensitivity, with case studies and research reports of how it has been used in a wide range of international and multicultural programs. Finally, the course provides participants with new paradigm solutions to their particular programmatic goals. This course is specifically designed for faculty and administrators who want to position intercultural learning as central to international and domestic cross-cultural programs, who want to attract diverse student participants, and who want to improve the transferability of intercultural learning between international and domestic multicultural contexts. This is the core course for those who might optionally be interested in pursuing an IDRI Diploma in Facilitating Intercultural Development. Dr. Milton Bennett is a senior faculty member of IDRAcadamy, an adjunct member of the Faculty of Sociology at University of Milano Bicocca, and a founding fellow of the International Academy of Intercultural Research. Previously he was an associate professor of communication at Portland State University, where for 15 years he directed the graduate program in intercultural communication, and subsequently co-founded the Intercultural Communication Institute and its Summer Institute for Intercultural Communication. In addition to his academic activities, Dr. Bennett provides consulting and training for universities and K-12 school districts on using an intercultural approach to international study and domestic diversity and inclusion programs. Dr. Bennett is known for originating the Developmental Model of Intercultural Sensitivity and his text Basic Concepts of Intercultural Communication: Paradigms, Principles, & Practices. Following his life-long interest in the philosophy of science, Milton currently generates new theory and research through the Intercultural Development Research Institute (IDRInstitute), which operates in the US and Europe. For non-Dartmouth participants tuition is 1.000,00 USD for three days course, including coffee breaks and some meals. 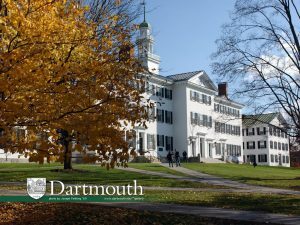 For Dartmouth participants, please contact Guarini.Institute@dartmouth.edu regarding discounts.